Brandt shaker screen replacement of Kosun for a competitor’s device. The alternative screen manufactured by Kosun is used in the competitor’s shale oscillator to combine the proven grid combination with an innovative diamond pattern board to improve the efficiency of the vibrating screen while extending the screen life. These manufactured replacement Brandt shaker screens are designed to meet the exact design specifications of the competitor’s shale shaker and can be mounted directly on the device using an inventory wedge. The alternative screen made by BRANDT has a variety of grid combinations that are ideal for drilling applications. 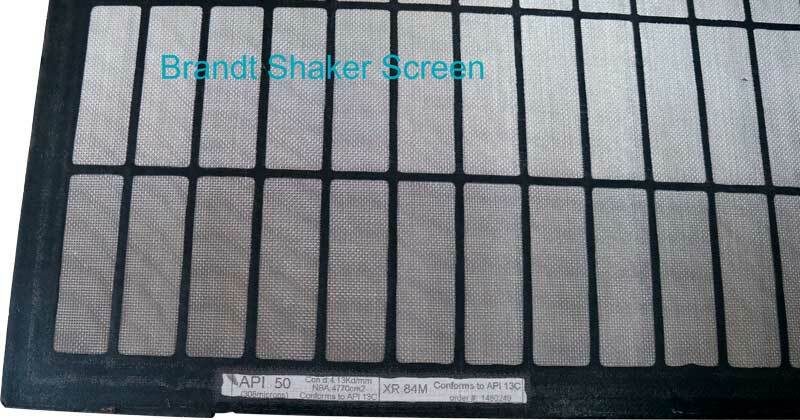 Brandt shaker screen replancement by Kosun with high quality and more than 20 years experience in this aspect. Any machinery will give its best performance if maintained properly, so a preventive measure is a prerequisite if an operator wants to ensure the long life of the machinery. While routine services will take place as part of your preventive maintenance, there is something that operators themselves will be able to take care of and be rewarded with even better results. A simple way is to keep the machinery clean. In solid control equipment, shaker screen performs that key job of eliminating the solids through the screen. So it is imperative that they are prone to damage if not kept properly clean and that will naturally increase the overall project cost. • If the shaker has been idle for some time, it is important that the shaker screen be cleaned before the use. To clean the shale shaker screen, the best way is to use water gun or water hose. • Usage of wire brush will actually damage the mesh, so stay clear of brushes in your cleaning process. • The shaker screen constantly sieves the waste material and likely to get clogged with waste material and as a result the screen holes will be blinded and hamper the process if filtration. To clean the blinded screen holes, use the water hose from back side. You could consider removing the larger particles manually, but never with a brush or stick, as the mesh of the screen is prone to be torn in the process if you use any of these. • Make sure that the screens are not left with the drilling waste i.e. drill cuttings and mud to be dried while in the screen. This will invariably lead to a pre-mature failure of the equipment. • Never allow any worn out rubbers to be used in the equipment, this directly lowers the performance of the equipment and damages the shaker screen. • Do not allow any other material to be placed over the shaker screens, either in function or in storage. With these basic cleaning procedures, you could ensure a longer life for the shaker screen.